According to CNBC, Cyber Monday drew a total of $6.6 billion in 2017. The amount was up some 18 percent over the year prior. Given the trend toward greater acceptance of ecommerce and the comfort people are now exhibiting shopping on mobile devices ($2 billion of that 6.6 was mobile), you can bet that number will be higher in 2018. 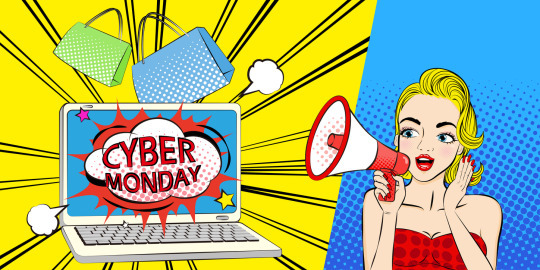 So, should you consider upping your bandwidth before Cyber Monday? Well, like so many things in life the answer to that question is—it depends. Look to previous seasons to see what you should do to be prepared for this one. Analyzing trends will help ensure the accuracy of your predictions. While you’re at it, you might also look to see what you need to do in terms of inventory so you can meet demand with no delays. Most online merchants generate approximately 30 percent of their annual revenue during the holiday season. If you’ve handled in the past with bandwidth to spare, you might be OK. If not, then the answer is fairly obvious—yes? So, we’ve established that if you’ve already got a wide pipe and your past few seasons didn’t tax it, you’re probably good to go. However, that doesn’t mean you shouldn’t look into it, nor does it mean you shouldn’t look for other ways to improve your customer experience (CX). Are your customers presently complaining about any aspect of your site? Are you experiencing any consistent challenges when it comes to dealing with your customers? Is your customer service team up to the task? Untoward issues will be exacerbated with an influx of holiday shoppers looking to get what they want as quickly as possible. Even if bandwidth isn’t an issue, the CX you provide always is. Anything you can do to resolve those issues now will only improve sales. Anyone considering how to build a website needs to take all of the above factors into consideration. When you’re planning for the future, it’s important to build in as much bandwidth as you think you’ll need over the course of the entire year. This makes a lot more sense than going lean until the holidays and counting on ramping up just in time for the rush. What if you encounter a technical problem that takes your site offline during the run-up to that crucial period? It’s better to have capacity in place before you need it, rather than waiting until the last minute when everyone else is trying to get it too—and potentially missing out. So, should you consider upping your bandwidth before Cyber Monday? Again, it depends. If you haven’t upped it already, then yes—you absolutely should. In fact, you should do so long before Cyber Monday. For more resources and information about how to build a website, visit Yahoo Small Business today!